2112 proved to be Rush's commercial breakthrough and remains one of their most popular albums. 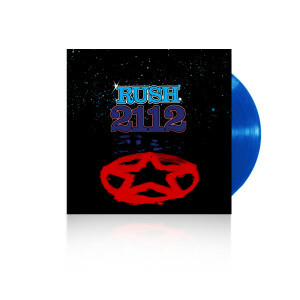 This release is manufactured on limited edition opaque blue 180-gram vinyl, with just 5,000 copies available worldwide. This release features the 2015 remaster by Sean Magee at Abbey Road Mastering Studio and a "red star of the federation" hologram in Side 2 run-out groove.